Choosing a suitable hosting provider is always difficult when you’re branching into the world of web hosting and development. It is a decision that requires careful consideration, and ultimately, comes down to convenience, cost-efficiency and reliability. Deciding to go with an Australian host is always a valuable move for your business, as there are many benefits that will drive your business on the road to success. 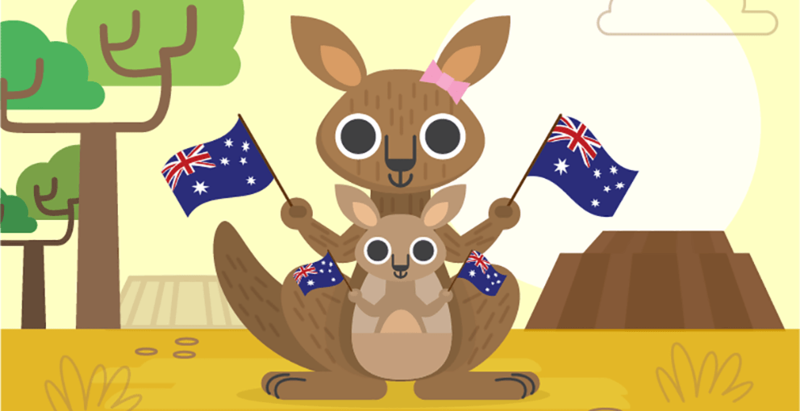 Here are 5 reasons why you should always host your website in Australia. If your business is Australian based, it makes sense to host locally here in Australia. Having your website hosted overseas can cause noticeable performance issues for visitors located in Australia due to the fact that each request has to travel significantly further to load the content on your webpage. When hosting your website overseas, you’re not only selling yourself short of potential customers, you’re also exposing your visitors to an unpleasant experience that may ruin your online reputation. Although the hosting location itself plays a pivotal role in the speed and performance of your website, you’ll also want to make sure that your website is fully optimised to further enhance its performance. We here at VentraIP Australia pride ourselves on being the largest privately-owned Australian web hosting provider in Australia, and in conjunction with this, pride ourselves with having 24/7 local Australian support that operates out of the same office here in Narre Warren. Not only are you providing jobs for the local community, you’re also supporting the Australian economy. Because you’re dealing with local currency, you won’t need to worry about price fluctuations due to changes in dollar value. This allows you to easily manage your finances and budget accordingly as you always know Australian prices won’t fluctuate and will always include GST. From our experience dealing with both local and international support, we know that when you go local you’re going to be dealing with the highest quality support available. Operating in the same time zone is extremely beneficial in regards to support, as you’re able to receive a significantly faster response to your issue. Our technical support and sales teams are 100% Australian and operate 24/7 here at VentraIP Australia, this means that not matter what time of the day or night you need support, you’ll always be able to get in contact with us via eTicket, LiveChat, or by giving us a call. When deciding where you want to host your online services, it’s important to take into account whether your hosting provider is using high-quality infrastructure and whether they’re following a timely maintenance schedule to ensure that your services stay secure and remains up-to-date. When you’re dealing with a hosting provider in the same time-zone, it definitely makes life easier when they need to perform maintenance on their systems as it should always be done during off-peak times to ensure that it won’t adversely affect your business. If you’re dealing with an international hosting provider, this may not always be the case! The SEO of your website can be affected by the location of your hosting provider, this is because Google’s spiders crawl your website and index all of the information they find in Google’s database for future reference. When the majority of your visitors are located in Australia and Google’s database indicates you’re located elsewhere, this can cause incongruous location targeting problems that may lead to your website being ranked lower in Google searches. Essentially, if you’re targeting content toward Australian viewers, having your website hosted on an overseas platform can confuse ranking algorithms and negatively affect your SEO. If you have any enquiries about our hosting products or domain names, you are always welcome to drop an email to our helpful sales team at sales@ventraip.com.au or give them a call on 13 24 85 (Dial 2 for sales). Did I mention that they are completely Australian based and available 24/7!